Who is God? Does He care what I do with my life? Does God really love me? These days many young people are confused about God. 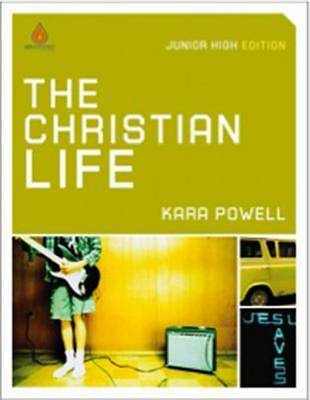 Help youth workers provide a solid foundation for young teens with The Christian Life, a junior high school study resource. Part of the exciting Uncommon Youth Resource series, this straightforward presentation of the gospel first explores who God is Father, Son and Holy Spirit then guides students through their relationships with God. Students will learn that God loves them no matter what; that Jesus Christ is the only way to have a relationship with God; and that the Holy Spirit lights the way to God. The three 4-week modules examine one of the most critical parts of a young person's life: their faith. Lead students to discover that everyone is a sinner, how God's grace rescues us, and that we are to serve Him out of love and gratitude for His gift of grace."